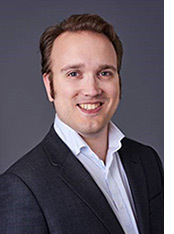 Our guest blogger Michael O’Connor is a visiting assistant professor at Penn State Law, with teaching and research focusing on cyber law. Before moving to academia, he spent nearly a decade practicing technology-focused law in Washington, D.C. His work in that sector is the basis for this discussion on how the International Trade Commission (ITC) can be used as a legal remedy to stem the tide of foreign intellectual property (IP) and trade secret theft in the United States. The most common way to address IP and trade secret theft in the U.S. is through the state or federal courts. But what if the theft occurred outside the United States? Under state statutes, if trade secrets are stolen outside the United States, you generally lose. The federal Defend Trade Secrets Act provides a little more protection. You can use it to reach conduct outside the United States, but only if the offender is a U.S. citizen or permanent resident, or a U.S. company. Alternatively, if a foreign citizen or company has performed some act furthering the theft in the United States, then federal law will apply. But even the federal Defend Trade Secrets Act has road bumps and limitations. For example, federal courts might find that they lack jurisdiction over cases outside the United States or that a better forum for redress is in a foreign country like China. The ITC, an administrative body sitting in Washington, D.C., can help if you can demonstrate that your trade secrets have been stolen by sealing the border against the thieves so that no products made using your trade secrets can enter the U.S. There are two critical questions: number one, are you producing a product that would compete with the stolen products, and number two, do the stolen products hurt the business for those products in the United States? 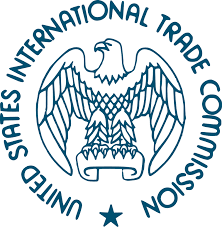 The ITC, which has broad powers similar to the Federal Trade Commission, exercises its power under a statute called Section 337, which forbids “unfair methods of competition and unfair acts in the importation of articles” where those methods or acts would “destroy or substantially injure an industry in the United States” or prevent such an industry from being established. If another company steals your trade secrets or uses your patented process to manufacture competing products, that is an unfair method or unfair act. A caveat to this is that the ITC can probably not help with a wholly digital product, unless it is being shipped on physical media, is software incorporated into a hardware component, or is pirated software being used to make a physical product that is then shipped into the U.S. The ITC’s authority is almost entirely at the U.S. border. If a domestic company is stealing your secrets and making a competing product here in the United States, the ITC is effectively powerless. You would need to take them to court. The ITC has another requirement that courts lack. In a normal patent or trade secret case, you don’t need to show that you practice the patent or the trade secret. You just need to show that your competitor stole it and is using it. But before the ITC, you need to show that you are making competing products or plan to make competing products. The ITC is concerned only partly with protecting U.S. companies from theft; they are concerned principally with protecting U.S. industry, which means U.S. jobs and manufacturing. Importantly, this does not mean that you need to be practicing the trade secret. For example, if a competitor steals your secret process and then you come up with a better process – cheaper, more efficient, requiring less labor or different materials – you can still ask the ITC for relief. In the software business, if an earlier version of your software is stolen, it doesn’t matter that you have developed subsequent versions with more features, if the products made with that software compete in the same market or industry, the ITC has jurisdiction. Unlike most U.S. laws, the ITC’s authority reaches beyond the borders of the United States. That happens because the ITC takes a fundamentally different view of its jurisdiction. It isn’t like a court, trying to haul other companies before it for punishment. Rather, its jurisdiction is over the products entering the United States. The practical effect becomes obvious when we consider an example. In a case called Tianrui, the U.S. company Amsted manufactured railway wheels. It had a secret process for manufacturing railway wheels that it licensed it to some foundries in China. Another Chinese company called Tianrui hired away people who knew Amsted’s process and shortly thereafter started selling railway wheels in the United States. When this case went to the Federal Circuit, Tianrui claimed that the ITC’s authority could not reach bad acts that occurred outside the United States. The Federal Circuit disagreed, saying that the question was not whether the bad acts had occurred in China, but whether the fruit of those bad acts – the products manufactured with the trade secrets – were being imported into the United States. A stolen trade secret, including stolen software, used to manufacture products imported into the U.S.
Damage to that industry from competing products imported into the U.S. I have to emphasize that if you decide to pursue a case with the ITC, you should engage counsel with real experience before the ITC. Practice there is its own world, and has its own procedures, many of which are not written down. For the same reason you want to engage local counsel that knows the courthouse in Philadelphia or Baton Rouge or Marshall, Texas, you want to engage experienced ITC counsel. Comments made by the ITC staff when reviewing your complaint provide invaluable help in crafting an effective complaint. But while the staff will theoretically meet with any counsel practicing before the ITC, they are very busy and so are much more likely to meet with and provide candid comments to counsel they know isn’t wasting their time. In addition, an ITC complaint is nothing like a district court complaint. For all the elements we discussed before, you need to cite evidence and the filing process itself is incredibly rigorous; you need a precise number of physical copies, you need digital files formatted, named, and organized in exactly the right way, and a list of other requirements too long to detail. Be advised, even if you jump through all the proper hoops, the ITC is not required to accept your complaint. After you file it, the ITC has a month to review it and then vote on whether to institute it. If they institute it, that means they will assign it to an administrative judge to have a trial on your claims. But they can simply reject it if they feel your complaint doesn’t adequately support your claims. In a lot of ways, after institution, practice before the ITC is a lot like district court. You have interrogatories, depositions, dispositive motions, and then trial. The major difference is how quickly everything moves. Unlike the courts, the entire process takes only about 18 months from beginning to end. Interrogatories in district court have to be answered in a month and you are only allowed a couple dozen. Interrogatories before the ITC need to be answered within 10 days and there can be up to 175 of them. It is very common to be hit with more than a hundred interrogatories the day that the investigation is instituted. The goal – on both sides – is to hit the other side hard and fast and keep them on their back heels the entire time. After discovery, trial takes place before an administrative law judge at the ITC’s office in Washington. This is like most district court trials. There are rules of evidence, witnesses, and arguments by counsel. After trial, the administrative law judge (ALJ) will take a couple months to write their opinion. Then the first appeal starts, with the commission itself taking up the entire record and deciding whether to affirm, reject, or modify any part of the ALJ’s decision. Only after the Commission reviews the file is the “trial” complete. At that point, if you are successful, you can demand that the other side pay a bond set by the Commission before further appeals. Strangely, if you are not successful, the next step is the president of the United States. Because the commission is an administrative agency, not a court, the president has the authority to reject the commission’s decision for any reason they deem fit. This very rarely happens, but for example, during the long smartphone wars between Samsung and Apple, Apple convinced President Obama to reject a decision in Samsung’s favor. Further appeals go to the Federal Circuit Court of Appeals and to the Supreme Court. Questions before those courts are generally limited to whether the ITC exceeded its jurisdiction or misapplied the relevant law. This happened in 2017 when a Chinese chemical company was found guilty by the ITC and banned from importing its products into the U.S. for 10 years. The company argued before the Federal Circuit Court and then before the Supreme Court that the ITC had no jurisdiction because the trade secret theft occurred entirely outside the United States. The appeal denial by the Supreme Court has paved the way for much broader and far-reaching powers for the ITC. If you’re ultimately successful, you now turn to enforcement. The ITC’s order goes to U.S. Customs, which will work with you and the ITC to keep the products out of the U.S. The most important question here is whether you have a limited or a general exclusion order. Limited exclusion orders apply only to the party that was before the ITC, so you need to show that a product originated with them in some way, even if it passed through other parties, like an importer. General exclusion orders apply to all products that fit the description of your products, regardless of where they are coming from. But they are rare, and you need to show that a limited exclusion order will likely be evaded. In any event, you seek one or both of these orders from the ITC originally, and then work with customs to enforce them. In order to prove your case, whether in court or through the ITC, you’ll need detailed data to back up your claim that your intellectual property has been stolen and is being used illegally to make products being imported into the U.S. SmartFlow Compliance Solutions gathers precise data on exactly who is using your software illegally, where it is being used, and how often. The data gathered through SmartFlow technology has been used successfully in many legal cases to bring pirates under compliance. To learn more about how Smartflow solutions can help you in your anti-piracy and revenue recovery efforts, contact us at info@smartflowcompliance.com or call +1-424-278-9990.